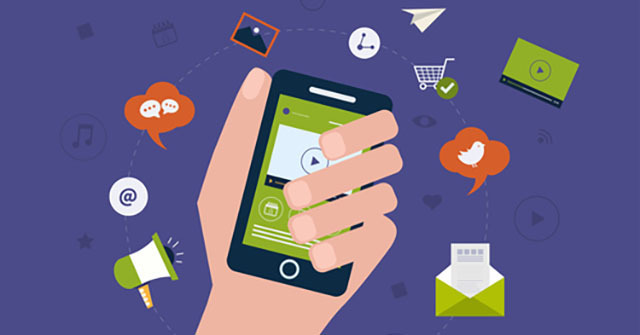 The popularity of the mobile web has sent shockwaves through almost every facet of the digital marketing landscape. Find out all you need to know about AMP including how it could affect your brand here. We’re reaching the point where it’s virtually impossible to discuss any aspect of digital activity without mobile considerations playing some part in the strategic process. Mobile proliferation has led to massive changes at Google and has changed the face of the search results pages themselves – both algorithmically as the search engine strives to serve mobile users and from an advertising perspective with the long serving AdWords layout changing to make way for more mobile browsers. Google has stated on numerous occasions its intention to make browsing seamless on mobile devices and noted in its keynote address at SMX Seattle late last month that it was working on a mobile search index and that AMP would be big in the coming year. So, what exactly is AMP? What do you need to know about it? And how will it impact your site in the next 12 months? AMP (or Accelerated Mobile Pages to give it its full name) is an initiative backed by Google. Despite its technical name, its intention is pretty simple; to simplify the code that makes up web pages, with the aim of delivering content quicker. This large scale project, as the M in AMP hints, is all about mobile. Google wants to get content to users on mobile devices quicker. Essentially it’s about quicker page load times, so mobile users can enjoy a seamless search and browser experience, without having to wait for heavy pages to load. AMP uses a pared down code known as AMP HTML to achieve its aim of helping pages load quicker. It’s only applicable to static pages (those not personalized based on user behavior). AMP is a form of HTML but, as a pared back version of the language, has fewer technical functions. This stripped down code prioritizes speed, improving page load times for users. AMP files can be cached in the cloud – so content appears to load quicker on future visits. What does it mean for your brand? Google’s vision for AMP is that it can use the framework to serve up chunks of content quickly to those searching on mobile devices. This has implications for brands and publishers because it presents an interesting new way to better connect with your audience in a manner that is both convenient and seamless. APM cites research by Soasta, which determined that web pages taking around 10 seconds to load register bounce rates of around 58%. For publishers and brands, the ability to create fast loading content using the AMP framework removes this specter of slow page loading and hoards of departing visitors. As a business, a faster page load means you can fight that bounce rate and potentially share more compelling, engaging content with your audience. Putting speed and performance benefits aside, AMP offers brands a vehicle to disperse content at an advanced level, with content appearing quickly across numerous platforms. With a wider distribution network and more visibility, there is the potential to turn quick content display into bottom line gains – AMP suggests you can use its framework to increase revenue via ads and subscriptions across both web platforms and mobile apps. This could be of special interest to retailers and ecommerce sites - at the end of June, eBay announced that around 8 million of their product and category pages were now live using AMP. Google has made it clear that page load speed is a ranking factor for mobile, making AMP a particularly interesting solution for those chasing better search rankings and keen to offer a better mobile browser experience. It is especially useful for those who rely on local traffic in physical stores, with research showing the importance of mobile browsing to the purchase cycle. In its mobile search trends infographic, Google states that 30% of all mobile searches are related to location. It reports an increase of 1.3 in mobile search volumes for ‘where to buy / find / get’ an item. It has observed a 2.1 x increase in search volumes for store opening times. 76% of those who search on a mobile device for a local outlet visit a store within 24 hours and 28% result in a purchase. Using AMP to deliver faster content could be key to tapping into that purchase intent. How will AMP impact your site in the next 12 months? Google said that AMP will be big in the next 12 months but didn’t provide a whole lot of extra detail on what that increased profile might look like. 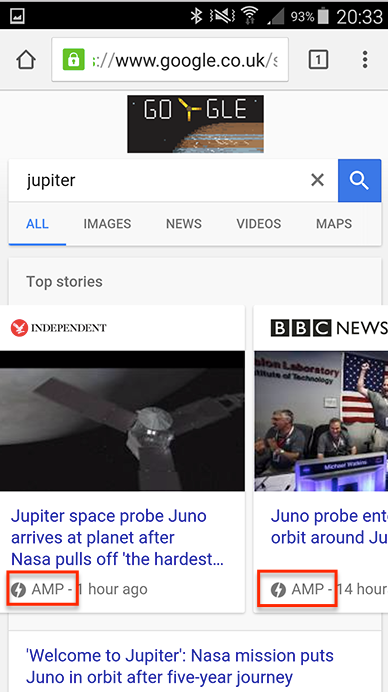 It has already started to display AMP content within the top half of the search results page. If you search for something on Chrome using a mobile device, you’ll see the top story carousel section now displays AMP content. The AMP framework is already available for use – you can download a technical introduction, user guide and view code on the website: https://www.ampproject.org/docs/get_started/about-amp.html. If you haven’t yet investigated AMP or considered how you can implement AMP principles on your static content pages (such as blog posts), it’d be advisable to do so to avoid getting left behind.